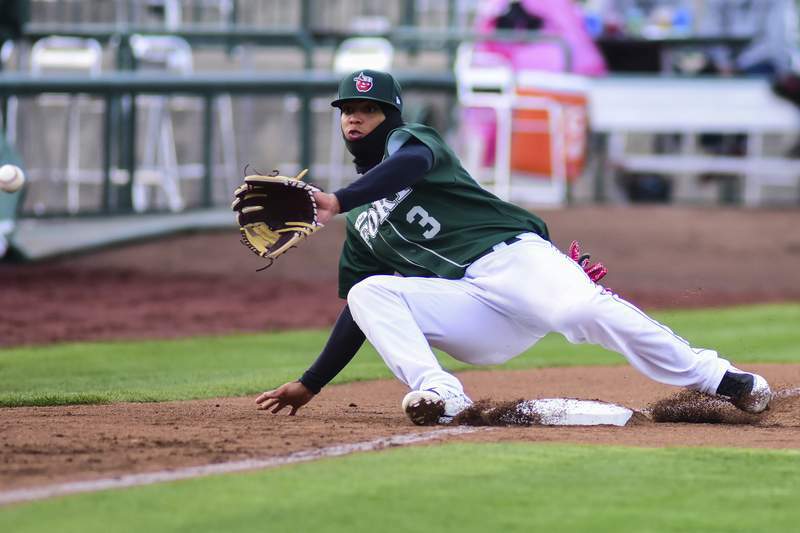 Mike Moore | The Journal Gazette TinCaps third baseman Luis Almanzar falls while catching a throw from home plate in the second inning against Dayton at Parkview Field on Thursday. 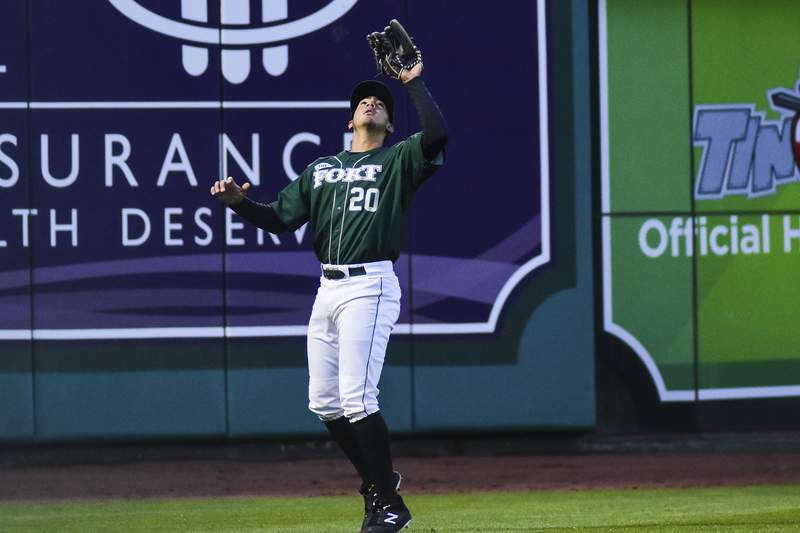 Mike Moore | The Journal Gazette TinCaps left fielder Agustin Ruiz catches a pop fly in the fourth inning against Dayton at Parkview Field on Thursday. Mike Moore | The Journal Gazette TinCaps first baseman Lee Solomon batting in the third inning against Dayton at Parkview Field on Thursday. 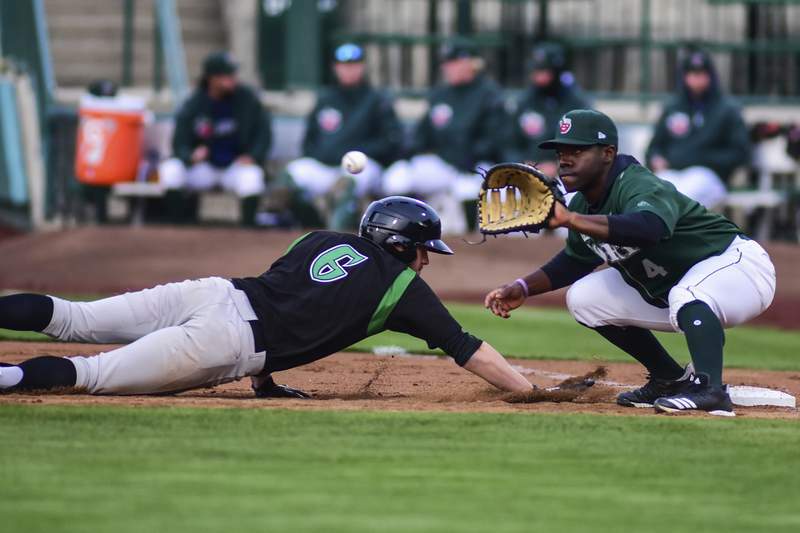 Mike Moore | The Journal Gazette TinCaps first baseman Lee Solomon misses the catch before tagging Dragons center fielder Michael Siani in the first inning at Parkview Field on Thursday. 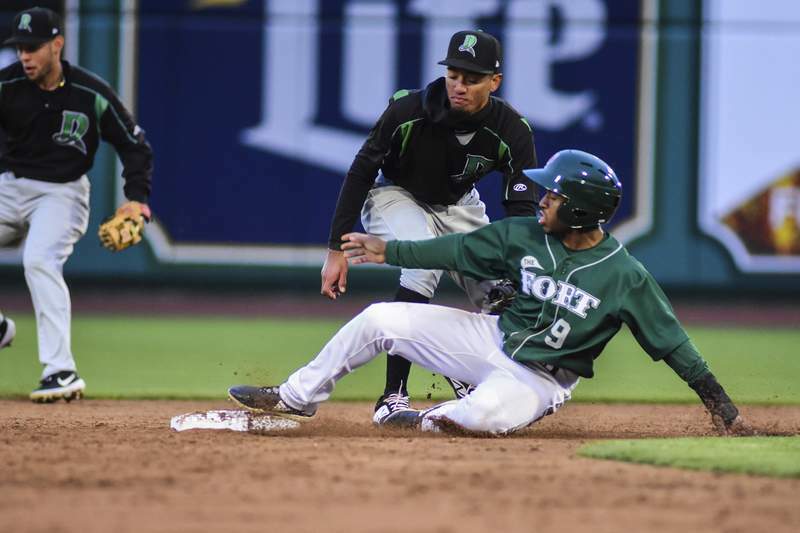 Mike Moore | The Journal Gazette TinCaps second baseman Xavier Edwards slides into second base on a steal in the third inning against Dayton at Parkview Field on Thursday. 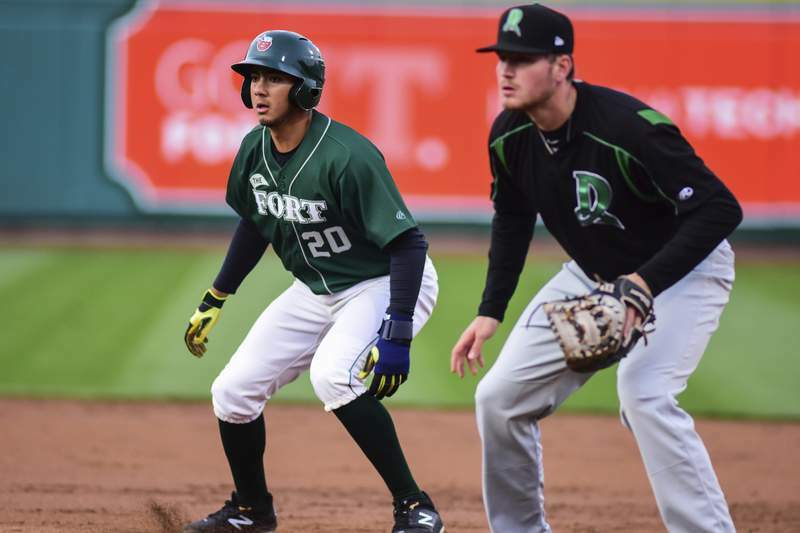 Mike Moore | The Journal Gazette TinCaps left fielder Agustin Ruiz and Dragons first baseman Bren Spillane watch the batter in the second inning at Parkview Field on Thursday. 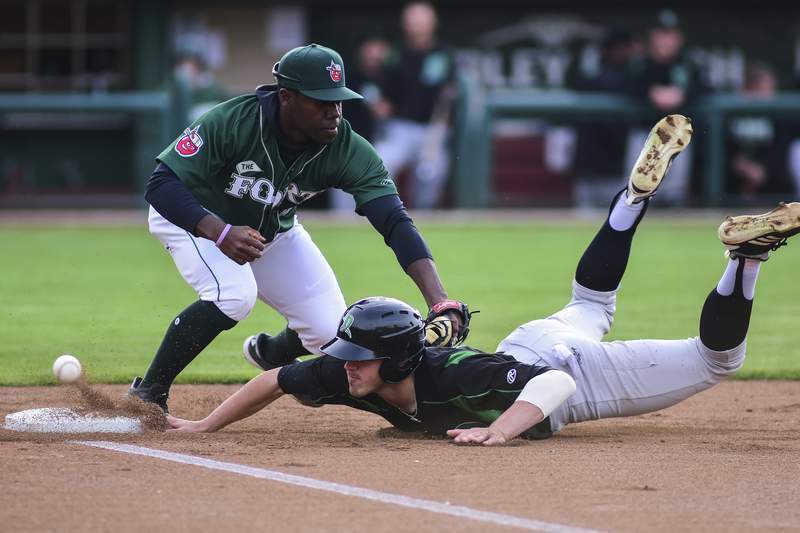 Mike Moore | The Journal Gazette Dragons center fielder Michael Siani slides into first base as TinCaps first baseman Lee Solomon reaches to catch the ball in the third inning at Parkview Field on Thursday. 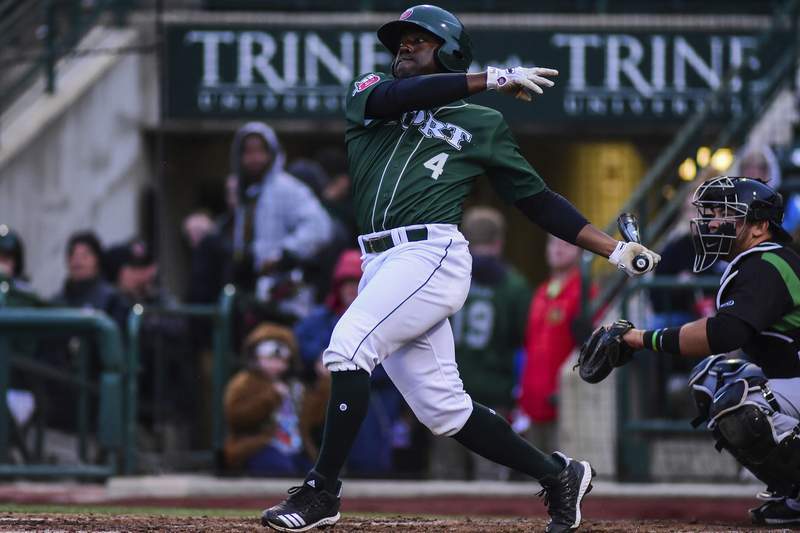 TinCaps play the Dragons at Parkview Field on Thursday.